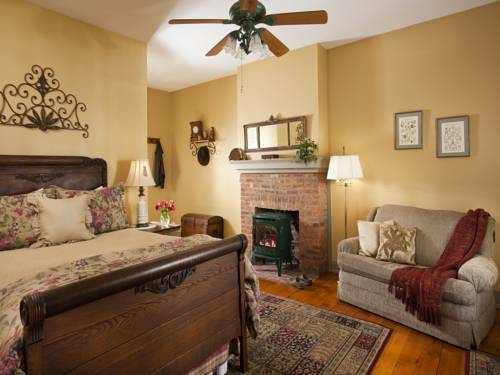 Gettysburgs premier award-winning BnB Inn, in the downtown historic district. Enjoy the comforts of todays living in a style reminiscent of the turn of the century. Throughout the 1898 brick mansion and the adjacent c.1830 historic bullet-scarred Welty House, family heirlooms and selected antiques combine Victorian grace with modern amenities. Superb hospitality, bountiful breakfasts, exceptional guest comfort and attention to detail, lovely gardens and on-site parking, are only the beginning of an unforgettable visit to this historic town. Innkeepers Tessa and Brian invite you to stay in the town where occurred one of the most decisive battles in world history. Check-in is at 4 00 PM. Guests planning to arrive before or after this time must contact the property at least 48 hours prior to arrival to receive special check-in instructions. As a bed and breakfast property, the Front Desk hours will vary guests should contact the property to find out more information. To contact the property, use the number on the reservation confirmation received after booking. From route 15, York Street exit, right into Gettysburg, left at circle, 5 blocks to left at Locust Avenue. Parking off alley behind Inn.